Up-and-coming north east boxer, Calum French, will have Tokyo 2020 firmly in his thoughts when he steps into the ring on Thursday to compete in the GB Boxing Championships. The 21 year-old from Gateshead will take on Cory O’Regan of Bradford Police & Community College in the lightweight (60kg) final of the competition which will be held at the English Institute of Sport in Sheffield on Thursday 8 December 2016 (boxing starts at 7.00pm). Tickets for the event are available at www.ticketsdirect.org.uk/gbchamps, priced £10 Adult and £7.50 Student/Concession. 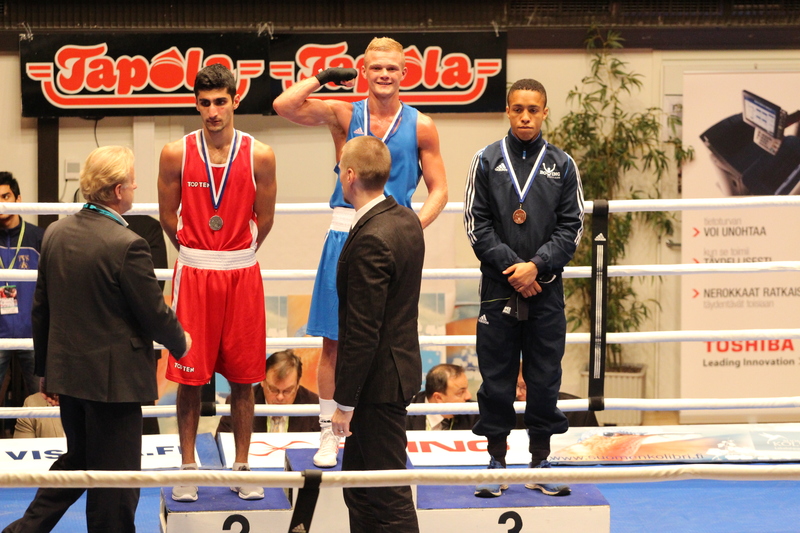 The chance to become GB champion for the first time will cap a triumphant 12 months for French that has seen him earn promotion to GB Boxing’s elite Podium squad. He now trains full-time with the GB Boxing squad at its headquarters in Sheffield alongside three other members of his Birtley ABC club, Cyrus Pattinson and twin brothers, Pat and Luke McCormack. After a successful Olympic Games in Rio, where GB Boxing won three medals, the squad is now firmly fixed on Tokyo 2020. It contains a lot of talent at lightweight and the first goal for French is to establish himself as Great Britain’s number one in his weight class, starting with victory in this week’s final. The only other boxer from the north east region competing in the finals is Sunderland ABC’s Kiaran MacDonald who will take on Scotland’s Aqueel Ahmed in the light-flyweight (49kg) final. MacDonald is currently part of GB Boxing’s Podium Potential group that train part-time in Sheffield and will be looking to earn promotion to the elite Podium squad. Ahead of the final, we spoke to Calum French about the GB Championships, his Tokyo 2020 aspirations and his experience in Rio this summer when he got to visit the Olympic Games as part of UK Sport’s Athlete Ambitions Programme. How do you feel about being selected by Rob McCracken to compete in the GB Champs? How do you feel about competing at the home of GB Boxing in front of a large crowd? What sort of prep have you been doing in the gym for the competition? “It will just be the same preparation as an international tournament, the lad I’m boxing is the same standard of a boxer I’d face at international level. I need to prepare the same, make sure I do everything right and don’t cut any corners. You went to Rio 2016 as part of UK Sport’s Athlete Ambitions programme for Rio 2016, how has that influenced how you look at boxing? What will be going through your head on the night of boxing? “I am just going to try and stay relaxed, and make sure that I’ve got my mind on the job. I’m going to stick to the game plan that needs to be executed to win the fight. More than anything I’m going to try to enjoy the night. “My mum and dad will be in the crowd, along with my club coach, I also have about twenty friends that will be travelling down to watch me. More detail on Calum French is available here – http://www.gbboxing.org.uk/gb-boxing-squad/podium-squad/.